The Toys R Us special events give kids of all ages a chance to have fun at their local Toys R Us store and get some free stuff while they're there. There are usually free activities to take part in, fun toys to play with, giveaways, and sometimes even parades that your kids can strut their stuff in. Usually, the Toys R Us special events are held on Saturdays. There are usually a few special events going on each month. Here are the upcoming events that are happening on a national level, but keep in mind that your local Toys R Us may be having additional events. LEGO Heroes Needed Build & Play Event - On Saturday, February 10, kids can come in and get a free superhero maks, build and share LEGO creations, and get a 40% coupon for seleceted LEGO construction sets. Geoffrey's Birthday Club - On March 3, April 7, May 5, June 2, July 7, August 4, September 1, October 6, November 3, and December 1 kids who are members of Geoffrey's Birthday Club can stop in and get a free Geoffrey plush toy and a storybook. There will also be a story time and fun activities. Ages 2 and up. There's no registration required for the Toys R Us special events, just show up on the day anytime during the time of the event. A minimum age is sometimes required for the events and parent supervision is always required no matter what the age. All the freebies are limited to the supplies on hand and there's a limit of one per child. No rain checks will be given for the free items. 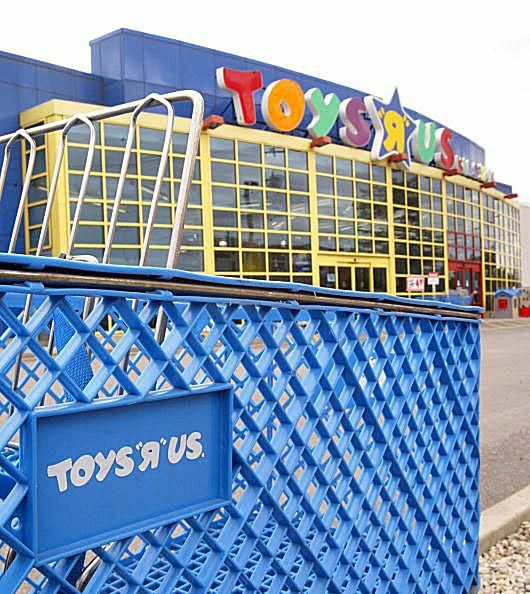 In the past, some of the special events held at Toys R Us have been Lego camps, parades, holiday and seasonal events, Pokemon card trades, Star Wars day, events themed on new toys, and Geoffrey's birthday party. During these Toys R Us special events, there are usually parades, crafts, and giveaways. Ready, Set, Registry Event - Parents can meet and mingle, get help with their registry, play fun games, win raffles, and take home free stuff. Baby's First Birthday Event - Take your soon to be 1-year old into Babies R Us for this event that will help you plan for their first birthday party. There will be giveaways and all sorts of fun inspiration for the big day. Local Classes - Each local Babies R Us hosts different classes during the year where parents can learn all about babies and pregnancy. To see when these events are happening near you, check the Babies R Us event and class calendar.